ORLANDO, FL--(Marketwired - August 22, 2017) - As uBreakiFix rapidly expands across North America, the leading tech repair brand is pleased to welcome Scott Jones as Vice President of Strategy and Kevin Cundiff as Vice President of Services and Development. The new hires bring an extensive background in the technology sector, with more than 41 years of combined experience. "We're thrilled to grow the uBreakiFix family and its scope of service with the additions of Kevin and Scott," said uBreakiFix Founder and CEO Justin Wetherill. "Their experience and insight have already added tremendous value to our team, and we look forward to seeing them continue to grow alongside our brand. uBreakiFix is built upon the shoulders of talented people with a shared vision for exceptional quality and care. With their expertise and leadership, we look forward to refining that vision to better serve our team, stores and customers." At uBreakiFix Jones will focus on strategy and creating a roadmap for the future of the organization. Throughout his 24 years in technology segments, Jones has nurtured relationships with all major wireless carriers and OEMs. Over the last decade, he influenced the wireless retail space through his oversight of retail operations and M&A expertise. Most recently, he led Strategic Growth and Acquisitions for The Cellular Connection, the nation's largest Verizon Wireless Indirect Partner. Jones' tenure in the wireless industry coupled with his leadership experience, relationships and business acumen will provide a significant backdrop as he facilitates the strategy of our organization. "Last year I worked closely with the uBreakiFix team on an agreement to open 236 locations. During that process, I gained an immeasurable amount of respect and admiration for the organization," said Jones. "My affinity for the team grew to the point in which I was inspired to become a part of it. The culture and value system is truly refreshing and I am convinced that we are destined to become one of the most influential industry leaders. I am thrilled to be part of the future of uBreakiFix!" Cundiff brings more than 17 years' experience working with both carriers and dealers in the wireless, insurance and warranty industry. He previously served as Vice President of Fortegra and as National Sales Director of ProtectCELL, a Fortegra subsidiary. At uBreakiFix, he will be responsible for leading teams charged with strategic partnerships, client acquisition, development and retention as well as leading teams responsible for the creation of new products and services for the organization. He will focus on client relationships, data-driven analysis, team member growth, sales execution and the overall development of uBreakiFix. Cundiff also worked for T-Mobile and helped build multiple wireless dealers into national brands, leading both organic growth and acquisitions. As an industry veteran, Cundiff has published hundreds of retail articles and white papers in publications such as Dealerscope, TotalRetail, Retail Touchpoints, Multichannel Merchant and Retail Info Systems. He was selected for and honored with Dealerscope's National 40 under 40 for 2016 and tied for top rated session speaker at the 2017 Mobile Carrier Show. 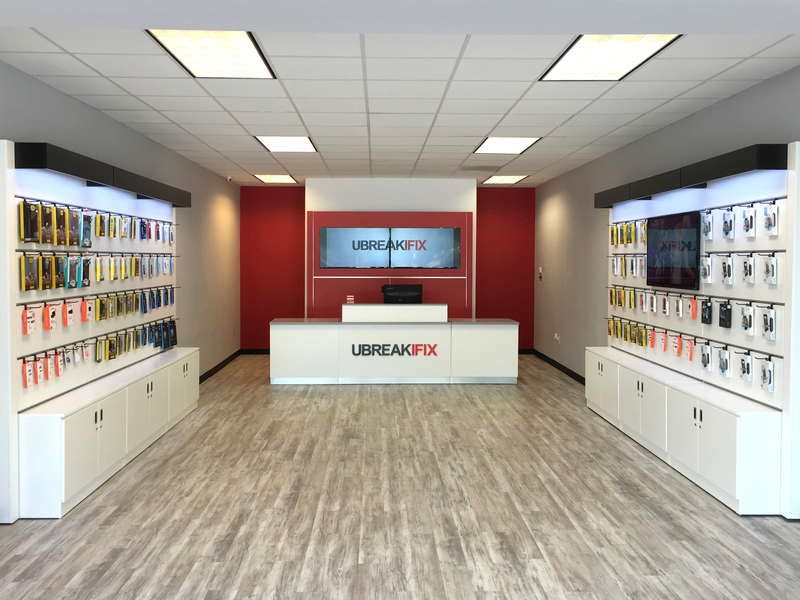 "uBreakiFix is the rare company that puts its customers, employees and franchisees first," said Cundiff. "I am honored to join the uBreakiFix family and use my experience to help continue to elevate uBreakiFix into North America's premier repair organization!" uBreakiFix has more than 325 locations open across the U.S. and Canada, with nearly 700 stores in development. To date, the company has completed more than three million repairs, including cracked screens, water damage, software issues, camera issues and most other technical problems. uBreakiFix was founded in 2009 by millennial duo David Reiff and Justin Wetherill, a 2017 Forbes 30 Under 30 honoree. The pair later partnered with Eddie Trujillo to transition their Internet-based brand to a brick and mortar tech repair alternative that was quick, affordable and provided a quality customer experience. Since its inception, the company has grown organically without debt, investors or consultants. uBreakiFix services all brands of electronics, offering phone screen repair, computer repair and more to consumers and businesses alike. As uBreakiFix rapidly expands across North America, the leading tech repair brand is pleased to welcome Scott Jones as Vice President of Strategy and Kevin Cundiff as Vice President of Services and Development.